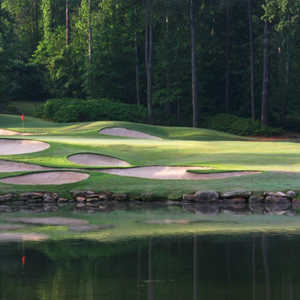 The Hooch Golf Club sits along the Chattahoochee River in Duluth, sprawling across a scenic landscape covered with ponds and lakes. 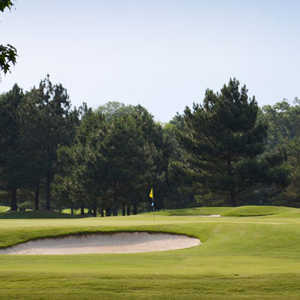 The course is an executive, par-61 layout that combines traditional features with modern challenges. Although there aren't any par 5s on the golf course there are a few holes that stretch to over 400 yards, which guarantees that you'll be using all the clubs in your bag. There is plenty of water throughout the golf course, including three holes that play right along the river. It might not be what you're looking for if you want something truly formidable, but for a short course it's a good challenge that provides excellent iron practice. 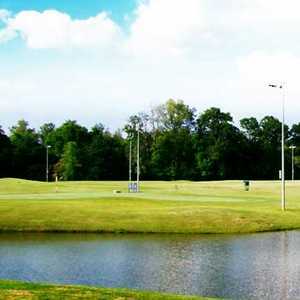 Besides the golf course, The Hooch is also known for its 12-acre, lighted driving range. There are also putting and chipping greens with a deep-faced practice bunker.